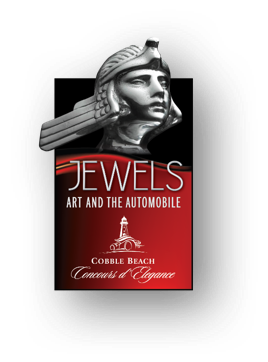 The 2018 Canadian International AutoShow is pleased to announce the return of one of its most popular features, Art & the Automobile with Cobble Beach - but with a difference. As well as the automotive mascots on the display cars, the Cobble Beach organizers have arranged to have on loan a number of classic display pieces from two of the United States’ acclaimed automotive collections - The Gilmore Car Museum in Hickory Corners, Mich., as well as the Buffalo Transportation Pierce Arrow Museum. The Gilmore will have on loan an incredible collection of mascots across all marques, including a special display of priceless Laliques. The Pierce Arrow museum will be showcasing both mascots, as well as a classic Buffalo-built Thomas Flyer – a model that won the classic New York to Paris race as profiled in Hollywood’s take on the event in 1965’s comedy ‘The Great Race’. 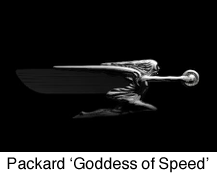 Many of the mascots that graced the radiators and hoods of the Grand Classics, and can still be found in the emblems of many marques today, were created by leading artists and sculptors of their time, such as Rembrandt, Cartier and René Lalique. And, as is the case with the cars they represent, there is an intriguing story behind each of these - that range from the mundane to the romantic.